Home Food How Cooking Creates the Toxins in Food that Cause Disease! Cooking Destroys Nutrition Creating Toxins That Are Not Healthy. Cooking, processing & GMOs creates the toxins in your body that eventually lead to most modern diseases. Eating organic, live, raw food maximizes your health and prevents most disease. If you choose to cook some food, remember to use the lowest heat for the shortest time possible. Remember, heating food over 118°F kills the enzymes so keep temperatures lower. The world agrees that Genetically Modified Organisms (GMOs) are NOT the answer for the future of food. Environmentally-sound farming method using the latest non-GMO and organic crops now out-produce even GMOs at lower cost. But this doesn’t make money for the mega-corporations that need to sell their patented seeds! These corporations manipulate the law so engineered DNA must be detectable to label something as GMO, exempting a huge class of processed foods like high fructose corn syrup, beet sugar, purified oils and many artificial additives which are so damaged by processing that their DNA is either gone or degraded. This means that things like soft drinks won’t be labeled even if they do contain GMO corn syrup. GMO crops are not designed to improve their nutrient profile. The priorities for these corporations are always things like resistance to chemicals, pests and other factors affecting profitability. Use “transitional” recipes when you can’t get raw, organic foods. I recommend eating at least a 75% raw food diet. At that level your body can eliminate any toxins in your diet. But too much cooked food can overwhelm your body eventually causing disease. Eighty million species on earth — about 700,000 of which are animals — thrive almost exclusively on raw, non-GMO or organic food. Only humans intentionally cook our food or design its DNA in a laboratory. So it isn’t very surprising that we also typically die at just half of our potential life span from chronic illnesses that are almost all diet and lifestyle related. Farm animals and pets are also fed cooked, processed, packaged and genetically modified foods — and also suffer the same kind of chronic health problems that we do — cancer, arthritis and other degenerative diseases. In their natural environment, the typical species on our planet lives seven times its age of maturity. Humans generally mature in their late teens to early twenties, making our potential life span 120-140 years. This is never actually realized largely due to the health effects of cooking our food, GMOs and the toxins created by heat, food processing or cooking! Before discovering fire 10,000 to 20,000 years ago we thrived for millions of years on fresh, raw, live foods furnished by nature in their whole unadulterated state. In some ways cooking allowed humans to expand all over the world, from Africa to Antarctica. However, we paid dearly for that with shorter lifespans and many diseases. These days humans cook or process almost all of our food, which then breaks down under heat into toxins we can’t properly assimilate. The GMO’s we eat are often by-products of eating farm animals fed GMO feed. Slowly the decades pass and the harmful effects of these toxins becomes more and more deadly. Like most animal species, humans are actually adapted over eons (thousands of years) to eating live, raw food. Raw food — not cooked or processed — is what we are actually designed to eat. Heating or cooking food over 118°F denatures its nutrients. You wouldn’t stick your hand on a hot stove — so why do that to your food? You see, when you burn your finger some of your healthy, live skin actually dies — and you feel that immediately. However, when you cook food it also “kills” most of the nutrients and enzymes but you just don’t feel it for many years. Food fresh from the field or orchard provides the healthy, living raw materials that you meed to replenish your cells and tissues. Cooking or processing, on the other hand, destroys live plant and animal tissues so their nutrients no longer bear any relationship to a living body. the body prematurely ages as this inorganic matter is deposited in various joints or accumulates within internal organs, including the heart valves. As temperatures rise, each of these damaging events reduce the availability of individual nutrients. 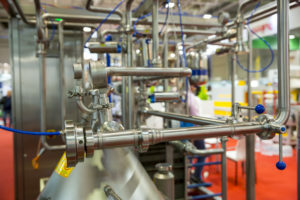 Modern food processing not only strips away natural anti-cancer agents, but high heat actually creates new, more potent cancer-causing chemicals in the process. This gets even worse with many GMOs. “Alien” toxins are thus created that the body cannot properly metabolize. Lipofuscin is another toxin: an accumulation of waste materials throughout the body and within cells of the skin, manifesting as spots in the liver as liver and in the nervous system including the brain, possibly contributing to ossification of gray matter and senility. — From an article by Dr. Bruce Ames, professor of Biochemistry and Molecular Biology at University of California, Berkeley. Indole, skatole, nitropyrene, ptomatropine, ptomaines, leukomaines, ammonia, hydrogen sulfide, cadaverine, muscarine, putecine, nervine, and mercaptins in cheese. Since 1950, as processed food became more common in the U.S., cancer rates did as well! 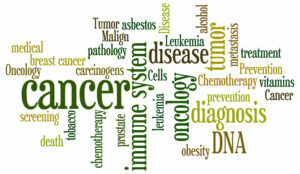 We now at the highest cancer rates in history. The result from consuming cooked food is both (2) minimal nutrition and (2) maximum toxic overload. After a typical cooked meal on the SAD diet (Standard American Diet), your body is forced to raid its dwindling supply of nutritional reserves leading to more hunger even though your stomach is full. This results in chronic overeating and obesity, now also at epidemic levels nationwide. You see, cooking denatures proteins – period. This creates an unhealthy or toxic modification to the protein molecules. Heat, acid, alkali and ultraviolet radiation can also denature a protein’s properties making it unusable or less usable by your body. Unlike more basic organic molecules, the properties of proteins are dangerously changed when they are cooked/heated. This also denatures the secondary bonds of the molecular chains. Once these weak bonds are broken the molecule falls into a disorganized tangle — and loses the protein’s original biological function. For example, enzymes lose their catalytic powers. Hemoglobin in your blood can lose its capacity to carry oxygen. Denaturation can also destroy the highly specific patterns that amino acid chains use when folded into the native protein. In the case of egg whites, a gel or coagulum is formed when heat/cooking is applied forming enzyme resistant linkages that inhibit the separation of constituent amino acids. This is why the I use the phrase “dead food” when used referring to cooked food. You can actually see the “coagulation” of protein molecules when you fry an egg. The clear protein surrounding the yolk turns white, thickens and then coagulates. Your digestive enzymes (peptones and proteases) cannot readily break down coagulated protein molecules once fused together. Now these heat-damaged proteins are no longer available to your body — but there’s more! The indigestible proteins will also to putrefy as bacteria in your digestive tract feed upon the dead organic matter. Bacterial enzymatic by-products are highly carcinogenic. This coagulation effect happens microscopically in ALL cooked or heated protein molecules whether you can actually see it (like the egg) or not. So when you eat raw fruits, vegetables, nuts and seeds as a source of protein (amino acids) you are getting the maximum biological value of all the nutrients in that raw food. As you consume more fresh, raw produce, your body progressively requires less and less food as you absorb more and more nutrients. Since the food is raw and uncooked, you also require little or no calories for the elimination of toxins. The result is that as you eat more nutrient-rich fresh, raw food over time your body adapts and becomes healthier. Your metabolic efficiency increases as does your ability to assimilate the higher nutrition found naturally in raw food. Eventually you will only need about half the protein you needed when consuming cooked, dead food filled with mostly denatured proteins. However, some physiologists claim that cooking and digestion are chemically identical or that cooking is a form of pre-digestion where heat hydrolyzes nutrients that otherwise are hydrolyzed by digestion. This is a huge oversimplification. There are two ways to denature proteins: chemically with enzymes or with heat (cooking). However, when you cook/heat your food, your body cannot utilize the heat-damaged, denatured amino acids. They’ll never be viable, healthy protein molecules again. Cooking denatures food molecules far past the point of any bio-activity. Your body heat is way too low to permanently damage protein molecules like that. It digests food chemically with enzymes — not heat! So these chemically digested proteins can easily be reused. Protein molecules denatured by heat/cooking cannot be used by your body at all. Raw, Live Plant Protein Is Best. A fresh raw food diet includes lots of raw proteins. Fruits, vegetables, nuts, seeds and sprouts do not require cooking at all to improve their taste or digestibility. When proteins are heated during cooking, however, enzyme resistant links are formed between the amino acids that the body cannot separate — and what the body cannot use it must eliminate or store in your fat tissues. So now these cooked and damaged proteins can become a source of toxicity for the whole body. Some high-protein plant foods like soybeans and Lima beans contain naturally occurring toxins that some people say are neutralized by cooking. However, cooking does not totally remove all the toxic effects of such foods — and has little effect on the toxins found in GMOs. On a raw food diet you’ll get everything you actually need without having to consume the few things that may be enhanced by cooking. Just don’t eat anything that has to be cooked at all. At relatively low temperatures, the destruction of enzymes is higher than that for microorganisms. The temperature range where the destruction of enzymes is equals to that for microorganisms is 270-290°F. The fact that heating food reduces its nutrition cannot be argued. 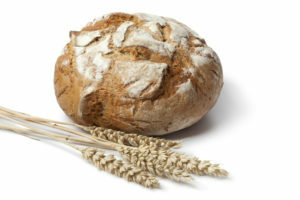 During baking, for example, the effect on nutrition is most intense in the crust or outer portions of the baked goods. While the heat of baking does denature proteins, the quality of the protein is even affected by “browning,” called the Maillard reaction. Maillard reactions are responsible for the odors and flavors of freshly baked products. The dark crust many people like on bread is, for example, the result of a Maillard reaction. However, Maillard reactions produce nothing of nutritional value at all, and actually reduce the nutritional value of bread and actually raise cholesterol. Most amino acids are destroyed during the Maillard reaction. The damage to lysine after toasting bread was studied in rats using bread toasted to varying degrees of brownness. Weight gain in rats was especially low with diets of dark-toasted bread. Cooking Can Affect Vitamins which are heat sensitive. Thiamine and vitamin C were the most susceptible to baking losses. When the pH of the baked product rises above 6, nearly all of the thiamine is destroyed. Similar conditions exist in a variety of chemically leavened baked goods including cookies and crackers. In high-protein cookies, calculations revealed thiamine losses from baking exceeding 90%. In addition to baking, vitamin B6 and pantothenic losses could be as high as 91% in canned food. The recommended daily allowance (RDA) for these two nutrients probably can not be obtained from eating refined, processed and canned foods at all! When foods are treated with heat they can lose up to 97% of the water-soluble vitamins (Vitamins B and C) and up to 40% of the lipid soluble vitamins (Vitamins A, D, E and K). Cooking Can Affect Minerals. Heat affects the absorption of some minerals by making them less absorbable. Phytate, fiber, proteins, and certain minerals are particularly suspect as components of these complexes. Vitamins and minerals must be consumed in an organic colloidal, naturally chelated form to be absorbed, assimilated and utilized by you body! Heat damages the molecular structure of vitamins and minerals, returning carbon atoms to an inorganic, ash-like form that is like a toxin to your body. Cooking Affects Fats & Carbohydrates by damaging the carbohydrate and fatty acid content of baked good, called the Maillard Reaction. In a hot oven, linoleic acid and even some other fatty acids can be converted to unstable hydroperoxides, which affects nutritional quality of the baked goods. Heat actually changes the lipids or fats interfering with cellular respiration and causing an increase in cancer and heart disease. Carcinogenic, cancer causing compounds created by heating fats include acrolein, nitrosamines, hydrocarbons and benzopyrene. Deep-fried foods like fried chicken, french fries, onion rings, potato chips, corn chips, cooked beef, chicken and most cooked meats are even worse due to their high fat content. 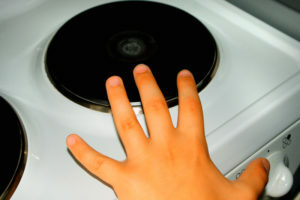 This is perhaps the main reason why cancer is the number one killer of children in the U.S. Oils and fats can become very rancid when heated, turning rancid and toxic when broken down during cooking. High heat applied to oils turns them into hydrocarbons that can cause cancer. Frying temperature can reach up to 600-700°F causing fatty acids to become TRANS fatty acids. The unsaturated fats then act like saturated fats — raising cholesterol and LDL cholesterol levels almost as much as saturated fats. This is another reason why fried foods contribute so much to hardening of the arteries. When oil is reheated for deep fryers the fat is more likely to develop cancer causing agents like acrolein and benzopyrene. Very hot temperatures also destroy vitamins and damage major proteins. Temperatures up to 1,000°F (found in many fast-food restaurants) forms free radicals as the polyunsaturated fats break down. These fragments then can combine with oxygen to create toxic peroxides, with a strong oxidizing (rusting) capacity to damage cells. Cooking Carmelizes Carbohydrates. If you ever baked yams or sweet potatoes you probably noticed a sweet sticky goo oozing from the skin. When you see that you’re actually witnessing sugar molecules carmelizing — or fusing together. Though you can actually see this in a sweet potato, it also occurs on a microscopic level when any foods are sufficiently heated. When complex carbohydrates like sugar molecules are carmelized your digestive enzymes cannot break them down into simple sugars for use as an energy source. So now they are not just unavailable, the heat turned them into an ash-like toxin on your body. Proteins under ideal conditions are broken down into amino acids by gastric enzymes. Every protein molecule in your body is synthesized from these amino acids. Protein that you eat is actually NOT used by your body as protein! First, the protein must be recycled or broken down into amino acids which only then can be used to build the protein molecules your body actually needs. There are 23 different amino acids that link together in various combinations. The very long chains of amino acids create protein molecules. Excessive heat, however, can “decapitate” the amino group rendering not only useless but toxic! 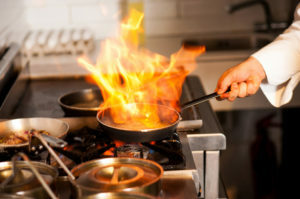 When food is heated past 118°F enzymes are destroyed. Enzymes are specialized protein molecules that are needed for numerous catalytic functions in your body, including breaking food down during digestion. When exposed to heat/cooking, food enzymes are virtually all inactivated. Then you body then must use more energy to generate more digestive enzymes, and so on. When you heat food under 118°F it is still considered a raw food. That temperature does not denature the enzymes. That’s why food dehydrators that work at low, safe temperatures are great for making many raw food recipes or dehydrating live crackers. Some nutritionists and biochemists, however, try to claim that raw food isn’t always the most nutritious or that cooking releases more nutrients into the food. One example they use — out of context — is that the body more easily absorbs iron when cooked. Iron from broccoli or cabbage seems to jump from about 6-7% to almost 30% with cooking. But, what these so-called scientists didn’t consider is that this is all inorganic iron — which actually damages your body more than helps it. There are numerous times when cooking something releases a nutrient here or there – like lycopene in tomatoes, or when cooking breaks down toxins in something you couldn’t eat raw. However, they fail to mention that if you eat raw foods you won’t have a prostate problem so won’t be needing any extra lycopene! Or that with all the live raw nutrients you get on raw food you won’t need to eat things that might otherwise be toxic anyway. The Dangers of Inorganic Iron. Iron absorbed from cooked food is unhealthy compared to iron from raw food, which we need. You see, cooking radically changes iron into its inorganic form, which can overload your body since it’s difficult to eliminate. Excess inorganic iron is associated with increased infection, heart disease, predisposition to radicals, the promotion of atherosclerosis, premature aging and cancer. Remember, nature has provided the perfect balance of nutrients in fresh, live raw foods which is what we are all designed to eat. Applying heat to our food actually upsets that perfect balance. The more that a food actually needs to be cooked to be edible, the more it compromises your health. When a food needs to be cooked before you eat it, that is the number one sign that it is not something you need to eat — so don’t eat it! Our culture, however, is centered around a cooked food lifestyle. So rather than force people to be totally raw, I like to recommend that most people eat 75% raw food. If you count all snacks as a meal, that leaves 25% for cooked foods. Your body is easily able to eliminate the toxins you get from just 25% of your diet. That means you can enjoy some cooked foods and still be pretty healthy. Its important to enjoy your food and not get overly stressed about all this! Cooked meat and pasteurized milk led to progressive degeneration of the animals. He compared healthy cats on raw foods with those on heated diets with similar findings among humans by Dr. Weston A. Price. Behavioral characteristics, arthritis, sterility, skeletal deformities and allergies are some of the problems associated with all-cooked foods. 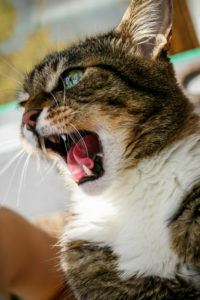 The cats fed cooked meat suffered with pneumonia, empyema (an accumulation of pus), diarrhea, osteomyelitis, cardiac lesions, hyperopia and myopia (eye diseases), thyroid diseases, nephritis, orchitis, oophoritis (ovarian inflammation) and many other degenerative diseases. No cooked food is benign. Cooked foods act malignantly by exhausting energy, inhibiting healing and decreasing alertness, efficiency and productivity. An increase in white corpuscles in the blood indicates a pathology. White corpuscles are your body’s first line of defense against toxic substances, whether from cooking, chemicals or GMOs. The typical white corpuscle count is about 6,000 per cubic millimeter. When this count doubles, triples or increases four or five times it is evidence of a disease even if you have no symptoms. Dr. Kouchakoff of Switzerland conducted over 300 experiments pinpointing the pathogenic nature of cooked and processed foods. Food heated to just 120 to 190°F (usually associated with warming rather than cooking though it still kills all enzymes), causes leukocytosis — an abnormally high white corpuscle count. Leukocytosis Doesn’t Happen with Raw Food! In Dr. Kouchakoff’s experiments, white corpuscle counts tripled even after being exposed to relatively low temperatures (but still above 118°F). When raw foods were added to the foods cooked at low temperatures they did not cause leukocytosis. With temperatures higher than 190°F, however, no amount of raw food diminished the pathological effects so leukocytosis always occurred. So there is no increase in white blood cells when you eat raw fresh live food. But when you eat cooked, processing and GMO foods, you are engaging a daily battle against the toxins in food instead of benefiting from the nutrients in healthy food. This will eventually exhaust your immune system causing age-related diseases and even premature death. This research was done in the 1930’s and has never been adequately confirmed. But it also seems that nobody has done anything to disprove it either – in almost 80 years. Hmmm, I wonder why? Meanwhile, cooked food proponents will always remind you that this research hasn’t been verified, and was poorly designed. Nonetheless, it is indicative of something — and medical schools still teach doctors that so-called “digestive leukocytosis” is a perfectly normal reaction to eating — cooked foods, that is. People who eat raw foods, however, DO NOT get digestive leukocytosis after eating…not even a little bit! Your white blood cells are the sanitation engineers of your body, keeping your tissues, lymph and bodily fluids pure. If poisons, bacteria, fungi (yeast), metabolic wastes, cooked food toxins or other foreign substances get in your blood, they are immediately attacked by your white blood cells. But too many toxins at one time can overwhelm your immune system. White blood cells increase in normal blood right after major infections or poisons since they are the disease fighting mechanisms in your blood. 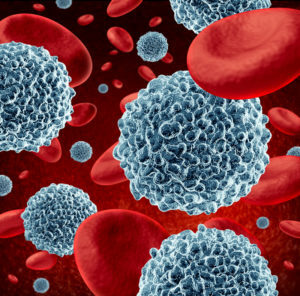 Your body contains hundreds of these defensive mechanisms including leukocytes, lymphocytes, plasma cells, monocytes, basophils, neutrophils, eosinophils and granulocytes that clear your blood of toxins. Whenever you swallow any drugs (recreational or medical), many herbs, even vitamins and minerals – or just eat cooked foods — you’ll experience leukocytosis. This is when an abnormal amount of leukocytes are released into your blood to stop harmful alien substances before they damage any cells or tissues. Most Americans have a “normal” white blood cell count of around 4,300-7,000 per cubic millimeter of blood. After eating cooked food or taking drugs your white cell count can jump to as much as 20,000 per cubic millimeter! This “average” white cell count of 4,300-7,000 is actually very high! You see, it’s based on what the average American usually eats — which generally includes junk foods, cooked foods, sugary soft drinks, coffee, tobacco and other foods that cause an “abnormal” white cell count which only looks normal in this context. After decades of eating a “normal” diet that does this, you resistance to disease and your immune response it badly damaged. But for people who consume a raw food diet with mostly fresh, organic fruits, vegetables, nuts and seeds actually have white blood cell counts well below 4,300! In fact, doctors may mistakenly think such people have an immune deficiency like AIDS! The real truth is that people who have a real immune deficiency like AIDS have completely destroyed their capacity to create white blood cells from constantly taking drugs or getting transfusions. Raw foods are easily digested, requiring only 24-36 hours for transit time through the digestive tract, compared to 40-100 hours for cooked foods. Eating overly heated nutrients increases the threat of putrefaction and disease. As you consume cooked carbohydrates, proteins and fats, you are eating numerous carcinogens created by heat. Such overly cooked foods actually cause a lot of damage in your body. Nutrients are coagulated, deaminized, caramelized, rendered inorganic and become pathogenic or disease causing. Cooked food spoils rapidly, both inside and outside your body, while live, raw foods are quite slow to lose their nutritional value. After you eat cooked or processed food, bacteria grow and multiply exponentially. This is what what happens to milk when making yogurt. If you tried to make yogurt with raw milk, adding a bacteria culture, the bacteria actually just dies. No yogurt! But if you pasteurize the milk it is now “dead” and the bacteria can then “spoil” or ferment the milk producing yogurt in a few hours. Cooked food is nothing but dead material that are a feast for many bacteria. The cooked, damaged proteins, starches and sugars quickly ferment and putrefy creating a soup of vinegars, alcohols, indole, skatole, nitropyrene, ptomatropine, ptomaines, leukomaines, hydrogen sulfide, cadaverine, muscarine, putecine, nervine, mercaptins and ammonias. GMOs Are Not Designed for Better Nutrition – Ever! Agribusiness corporations design their seeds for better yields, higher growth rates, more pest resistance and other attributes that are intended to increase their profits. The last thing they actually think about is nutrient content, if they even give it any thought at all! In fact, agricultural researchers generally accept the fact that selection for one function may take resources away from another. If they ever select for nutrients they’d eventually get them — but that is the last thing they’re looking for. There are many reasons for changes in nutrient content over time. Farming practices like row spacing, seeding, type of fertilizer, irrigation and other factors all play a significant role However, the single biggest factor today may be the fact that GMO crops are never designed to improve the nutritional profile of a crop as the priority is almost always resistance to chemicals or pests and other factors affecting profitability. Geneticists actually don’t think very much about nutrient content, it they bother at all. Instead, they like to breed GMO pigs that glow in the dark by inserting a gene from a jellyfish into their DNA — now THAT’S interesting! So are tomatoes that have antifreeze from fish genes to resist freezing. Or the Arctic Apple, now approved, that doesn’t turn brown. Or potatoes that don’t bruise. 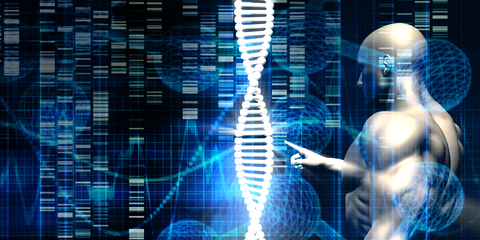 Many genetically engineered foods have foreign genes spliced right into their genetic code without much thought of any side effects that might exist. At least 90 percent of the soy, cotton, canola, corn and sugar beets sold in the U.S.A. today are genetically engineered. Herbicide-resistant corn now covers about 90% of U.S. corn acreage! And the gene for toxins in Bacillus thuringiensis (Bt), provides increased resistance to insects reducing the need for some pesticides. My advice is that the risk isn’t worth the potential damage — so stick to non-GMO and organic foods! Three important changes immediately occur when you choose a mostly raw food diet. First are the higher quality nutrients you get in your body. Fresh raw food is nutrient dense, mostly pre-digested and easily absorbed. Cooked and processed nutrients are mostly “dead,” denatured and low quality. That’s one reason people over-eat — their stomach may feel full but their body still craves real nutrients. The second big change with raw food is what you stop eating — devitalized, heat-damaged toxic food residues. Now you won’t be wasting energy flushing toxic byproducts from your last meal away from your cells or storing them in fats, cysts, warts or tumors! Instead, this valuable energy is now used to maximize your wellness! The third big shift on a raw food diet is the end of overeating. When you overeat you saturate your body with things that clog your body’s nutrient delivery and cleansing systems. The blood delivers nutrients and oxygen to living cells and carries away toxins metabolites created during cellular metabolism. When you eat too much your body is overtaxed with nutrients, toxins and calories it just cannot use or even excrete, so it just stays there stored away in your tissues eventually making you sick years down the road. Athletic performance can also be dramatically improved on a raw food diet. Dr. Douglas Graham, a 100% raw foodist for over 20 years, has coached pro athletes all over the world from many fields, including tennis legend Martina Navratilova and NBA pro basketball player Ronnie Grandison. He has advised Olympic athletes from four continents in a variety of sports. Dr. Karl Elmer also worked with top athletes in Germany, producing improved performance with a food diet. 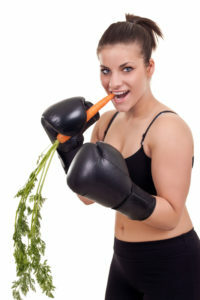 Raw food gives athletes more strength, energy and stamina. The mind, memory and concentration of a raw foodist can be more focused and effective. Raw food helps you feel energized after eating rather than the usual feeling of tiredness you get as your body tries to cope with the toxins in dead food. Raw foodists have more energy, need less sleep and often get a more restful sleep. The healthy raw materials your body needs to for wellness are not found in cooked, processed or GMO foods. Also, the nutrient values in our Recommended Dietary Allowance [RDA] charts are the highest for raw foods. NOTE: Potato, rice, wheat, pasta and bread aren’t even found on this chart. So don’t get stuck trying to figure out the best diet or the right way to cook your fruits and vegetables. The most important thing you can do is simply eat more fruits and vegetables. The U.S. Dept. of Agriculture recommends up to 10 servings of fruits and vegetables — and if you do that with raw food you are already a raw foodist! The average American, by comparison, eats only the 3.6 servings of fruits and vegetables combined, which includes garbage like french fries, potato chips, ice berg lettuce and other cooked, toxic, empty calories. On a raw food diet your energy will increase, you’ll spend less money on groceries (processed foods are actually more expensive), your sugar and fat cravings will eventually disappear and your weight will normalize. It’s actually nearly impossible to overeat fresh raw fruits and veggies. Raw food is also good for all other living beings on our planet, from plants to animals. Wild animals eat raw food almost exclusively. Your beloved pets do much better on raw foods. Zoo animals do better on raw foods. Fish are healthier and more lively on raw foods. Even plants grown with raw fertilizers do better than those grown with processed fertilizers. 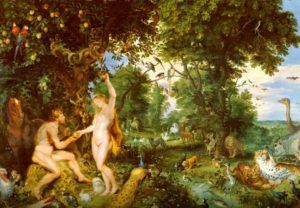 In the Garden of Eden, Adam and Eve did not eat cooked food until after the snake gave them the apple of knowledge — a baked apple, of course! Chinese, Egyptian, Indian and Hebrew stories all say that humans were kicked out of paradise for cooking their food. Methuselah, however, ate only raw food and lived to a ripe old age. The Bhagavad Gita says that pious people should eat what nature leaves them after their offering. But ungodly people that cook food sin as they eat. They’re referring to the diseases caused by cooking food. Originally inspired by Arthur M. Baker MA, NHE, ca. 2000. What about stomach acid? Acids denatures proteins, try making cerviche…. 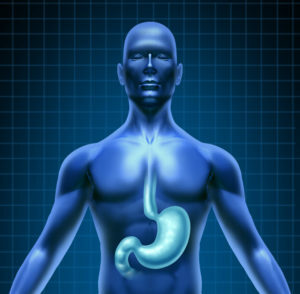 The effect of stomach acid on proteins is normal. Ceviche in fact is made raw. Raw food goes through all the normal digestive processes, of course. The difference it that eating raw foods avoids cooking, where the heat actively causes the molecules in your food to break down and recombine chemically into the toxins that cause disease. This is not part of normal, raw food digestion. Forty Centuries of Agriculture in Asia – the Original Organic Farmers!